Variants of the Nigerian Prince/419 scam have existed for over 100 years. During the 18th Century there was the ‘Spanish Prisoner’; where a previously-unknown relative was trapped in Spain, but promised a ‘sizable reward’ to any who paid for their release. Obviously no such relative existed and no reward ever came. Fast forward to the 1990s and the advent of the internet age, and we see this morph into a common scam perpetuated by cybercriminals based in Western Africa. 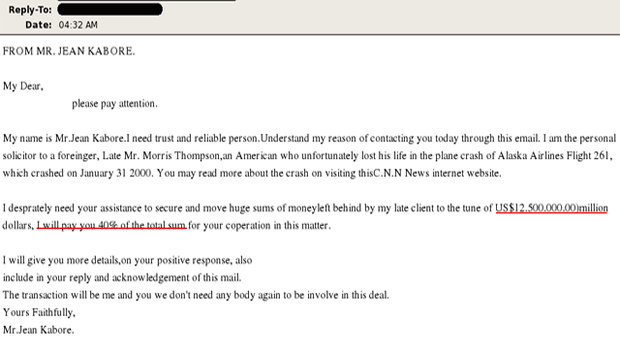 Promises of Nigerian Princes or long-lost family with millions of dollars trapped in accounts have been filling our inboxes for nearly three decades now. But they work: the 419 scam – named after the fraud designation in the Nigerian criminal code – and similar such scams are estimated to have cost people billions of dollars over the years. While many of us have moved on from those days – it’s rare that anyone who saw the rise of the web or any of today’s ‘digital natives’ would fall for such a trick – there’s still no shortage of attempts. Why are they still trying?